Below, you will see links to new pages that have been added to my website and updated information on existing pages. I also post interesting news items that I find around the web and trading ideas. Subscribe to my newsletter if you would like to be notified of new content added to this website. There is one chart pattern that you will want to trade when you find it. It's called a "first pullback". This article explains what it is and how to trade it. In this article you will learn how to use moving averages and a technical indicator to time your trades to the market. 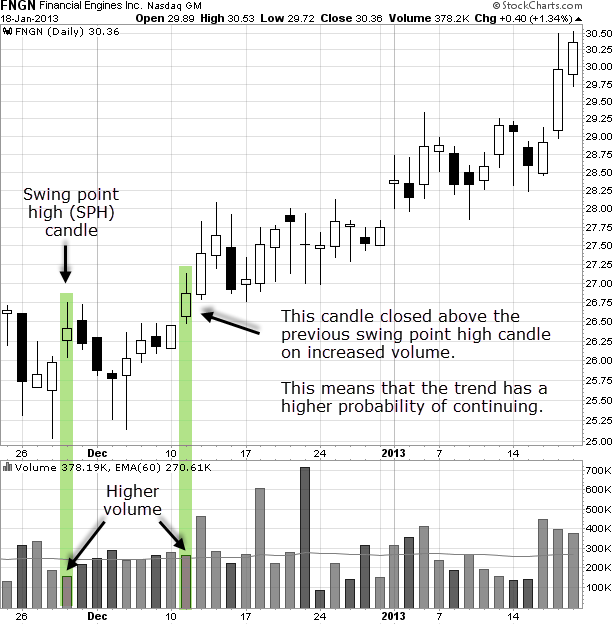 Here is a really neat way to judge the quality of a trend by analyzing two consecutive swing points. I've received a lot of emails over the years of people asking me if I have an eBook version of my website. I don't. But I do have a checklist of my swing trading methods that you can download. 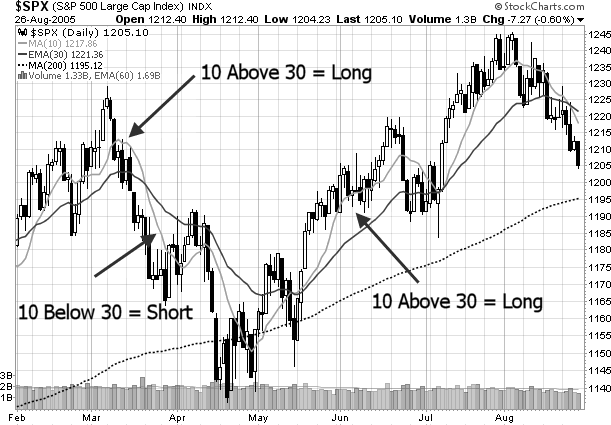 Here is a video on how to use the 10 period moving average to your advantage. 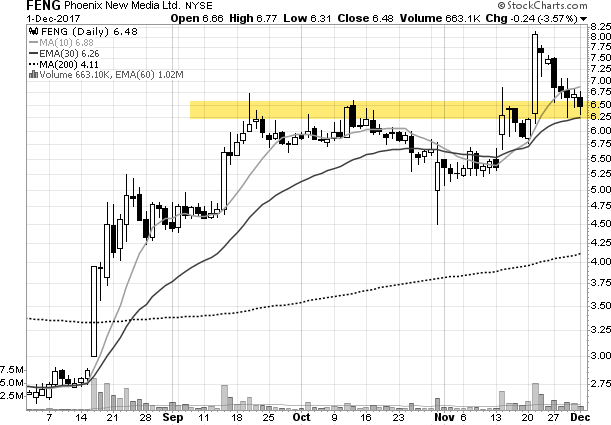 This was a stock I posted on Twitter a while back because it had a nice hammer candlestick pattern. Now it has two. 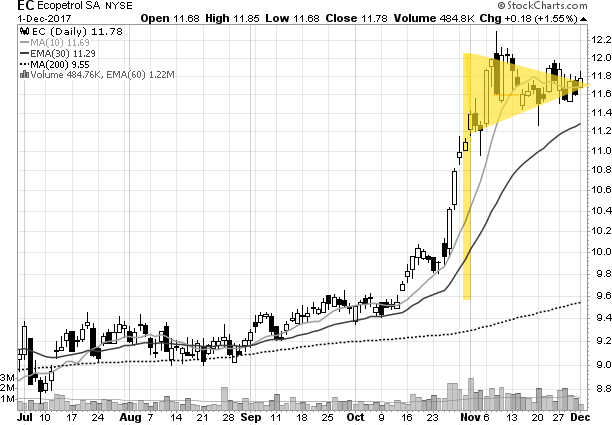 This stock has a really nice pennant chart pattern. Here are some more chart patterns I look for. This stock has pulled back to support inside of a previous wide range candle. Look for a reversal here soon. So simple that you'll kick yourself for not realizing this sooner. Every turning point consists of a swing point low (bottom) or swing point high (top). 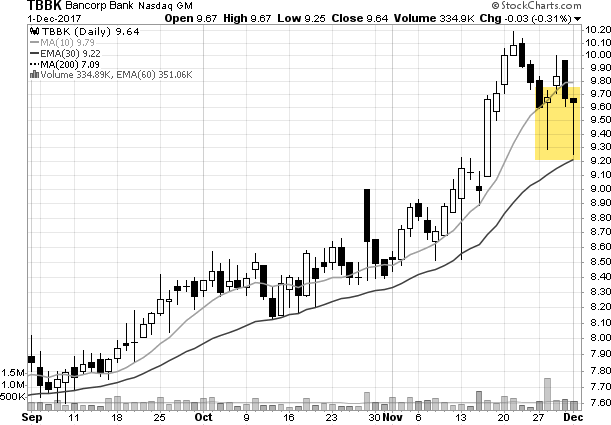 It looks like this on a stock chart. So for a swing point low you need a low, followed by a lower low, then a higher low (this is key). 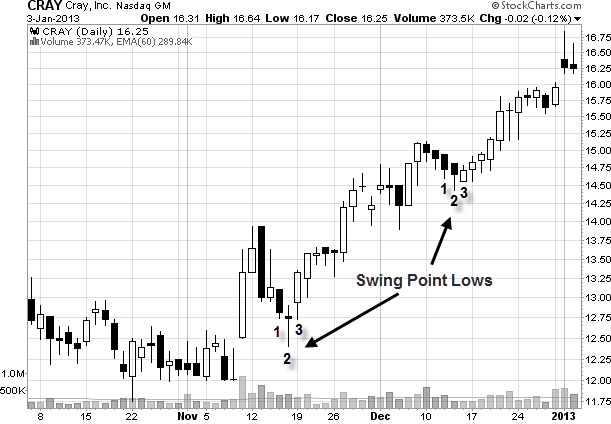 A swing point high is a high, higher high, then a lower high (this is key). 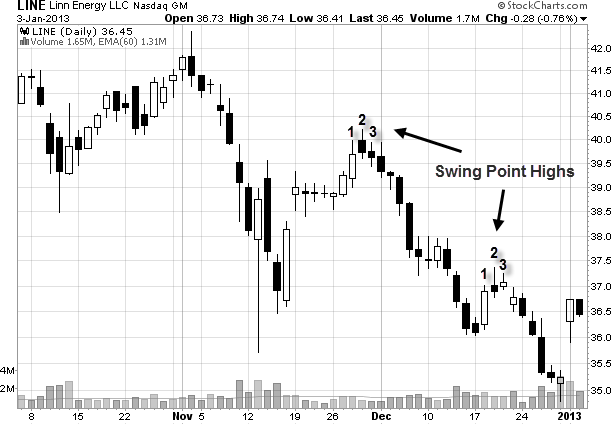 Keep in mind that not all swing points will lead to reversals. But you can't have a reversal without one.